1 l of cows milk, it is desirable the pasteurized and not powdered one. A glass jar and medical gauze in 4 layers. Tibetan milk mushroom (Kefir mushroom) itself. 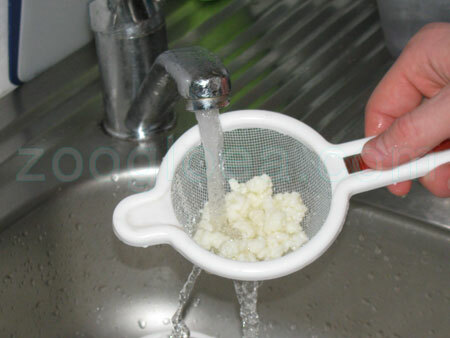 Wash the Tibetan milk mushroom in cold water (Picture 2). 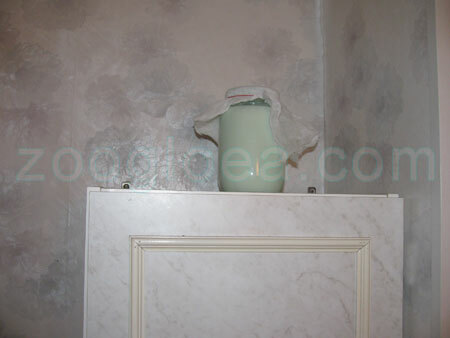 Pour the milk into the jar (Picture 3). 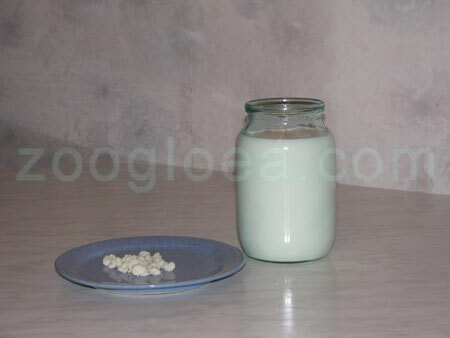 Carefully put the milk mushroom into the jar of milk (Picture 4). 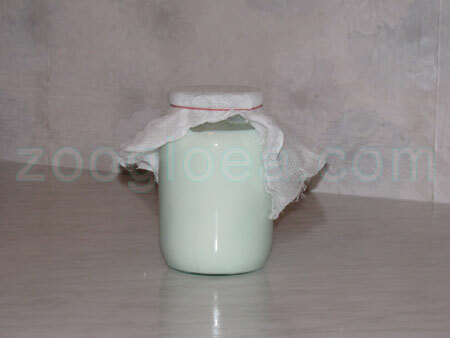 Cover the jar with the gauze and fix the gauze with an elastic band (Picture 5). Put the jar with the Tibetan milk mushroom in a quiet light place out of direct sun (Picture 6). Let it make sour within 24 hours provided that 2 teaspoons of Tibetan milk mushroom culture are used. If you use more of it milk is made sour faster. 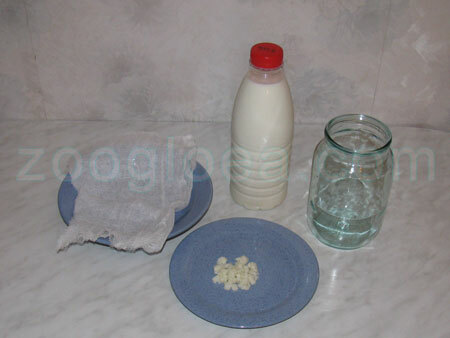 In 24 hours filter the kefir obtained through a sieve or a colander with small meshes and do the above again according to the given instruction. The ready kefir becomes tastier if it is placed in the refrigerator and left there for 5 - 6 hours. Afterwards shaking up is compulsory. Attention: Contain the Tibetan milk mushroom in a glass jar only! 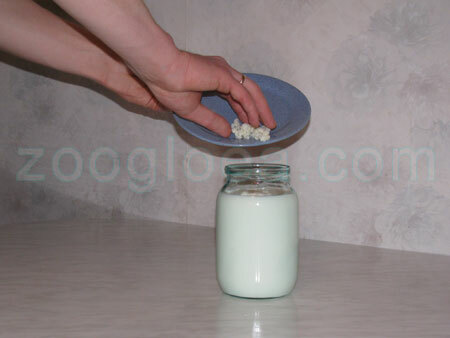 Store the ready kefir in the refrigerator no more than 2 days.